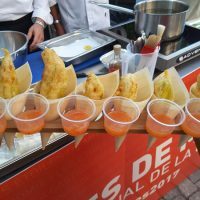 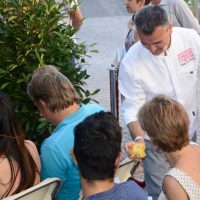 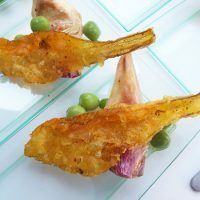 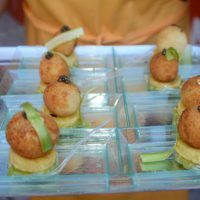 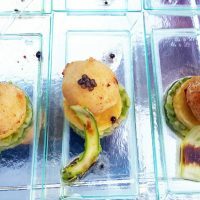 At Les Étoiles de Mougins 2017, Les Maîtres Restaurateurs offered a Show Cooking on June 25 in front of a public fond of home-made delicacies! 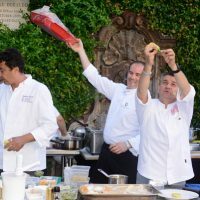 The Maîtres Restaurateurs association brought together at Les Étoiles de Mougins 2017 four chefs Maîtres Restaurateurs: Franck Cicognola (Mon Petit Resto in Mouans-Sartoux), Jérôme Clavel (Le 44 in Antibes), Guillaume Arragon (Le Bistrot Gourmand in Cannes) and Mathieu Allinei (Le Bistrot du Port in Golf-Juan). 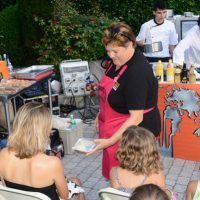 The delicacies prepared by the chefs were distributed to the public for tasting by members of the Ratatouillettes. 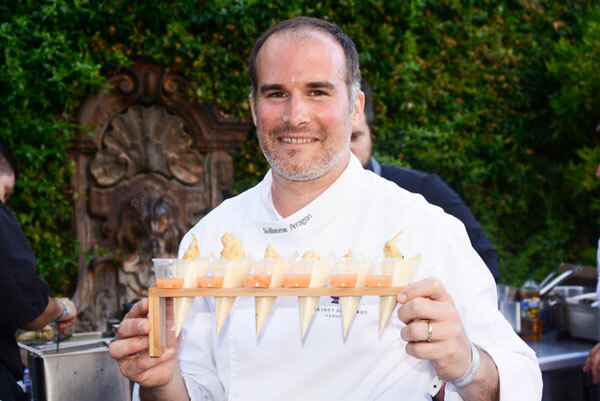 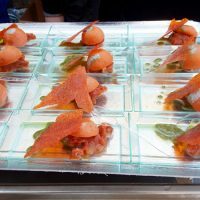 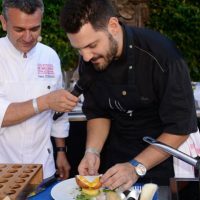 Four talented chefs participated in the twelfth edition of the International Festival of Gastronomy and Art of Living, Les Etoiles de Mougins. 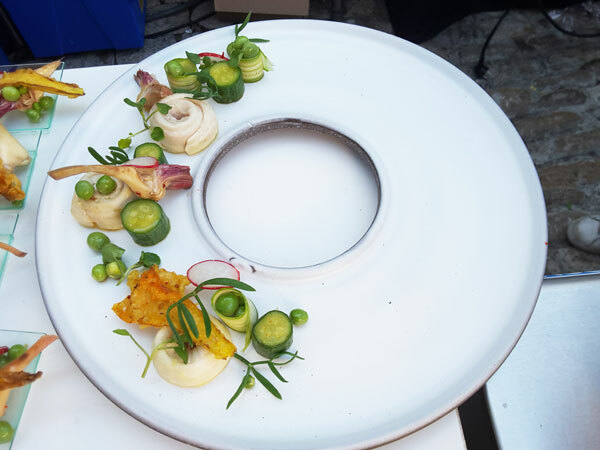 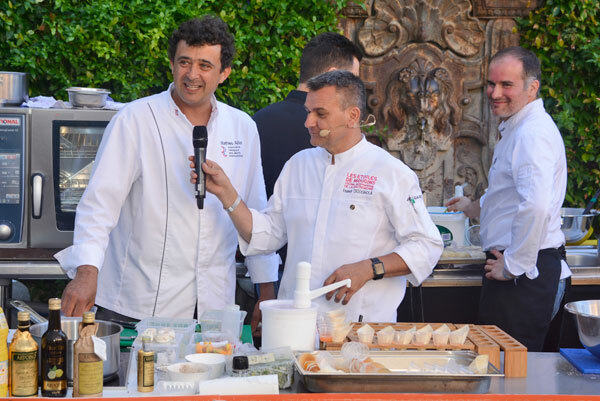 Invited by the Alpes Maritimes delegation of the Association Française des Maîtres Restaurateurs and its President Théo Mansi (Auberge de Théo in Nice), they demonstrated a home-made cuisine based on fresh and seasonal Mediterranean products. 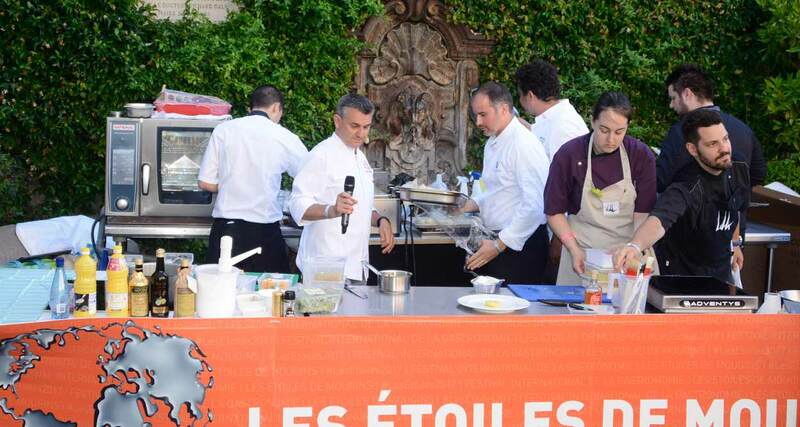 Under the auspices of the Nice Côte d’Azur Chamber of Commerce and Industry, chaired by Jean-Pierre Savarino. 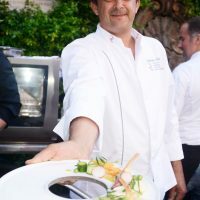 After a lecture on Sunday morning on the title of Maître Restaurateur at the Atelier and a demonstration of fish cooking by Mathieu Allinei (Le Bistrot du Port at Golfe-Juan), L’Atelier des Sens was entrusted to chef Guillaume Arragon (Le Bistrot Gourmand in Cannes) for a new demonstration of recipe with fish. 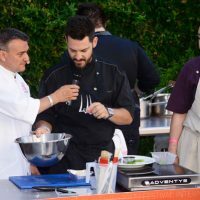 In the afternoon, Guillaume Arragon and Mathieu Allinei were joined for a Show Cooking by the chefs Franck Cicognola (Mon Petit Resto in Mouans-Sartoux) and Jérôme Clavel (Le 44 in Antibes). 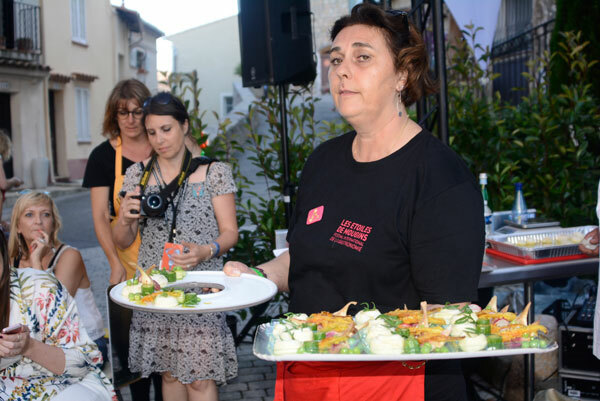 Les Ratatouillettes, a collective of cooking enthusiasts, helped distribute the gourmande verrines to the public. 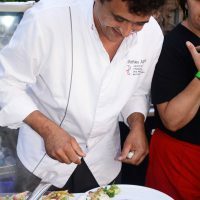 Created in 2007 by the government and the main professional organizations of the restauration industry, the title of Maître Restaurateur is the only label issued by the State for restaurateurs. 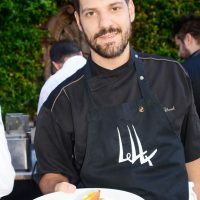 It is granted by the Prefect of the department for a renewable period of four years. 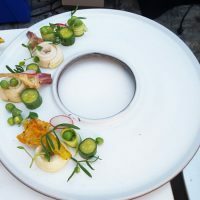 The label is based on specifications that require recognized professional skills and the commitment to work raw, fresh and seasonal products and offer a home-made cuisine. 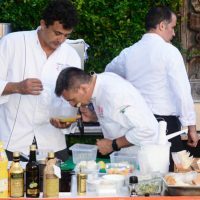 This award recognizes the excellence of establishments from small bistros to gastronomic restaurants. 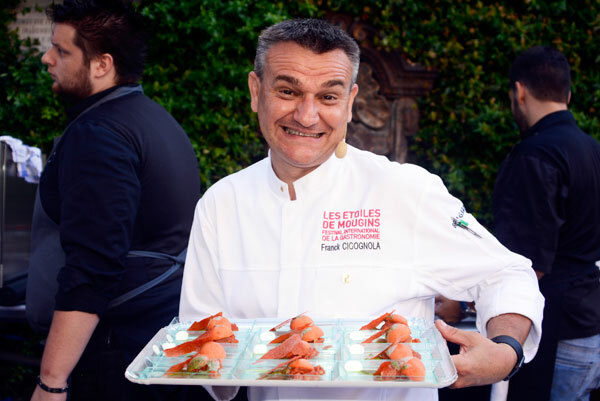 To date, more than 3,000 professionals have obtained this title, including 110 on the Côte d’Azur. 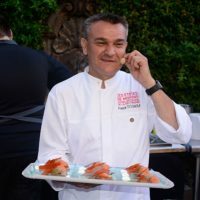 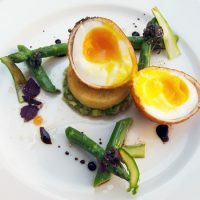 The Maîtres Restaurateurs in the Alpes-Maritimes have also federated around the Côte d’Azur brand to collectively promote the image of the French Riviera territory through a strong and unified identity. 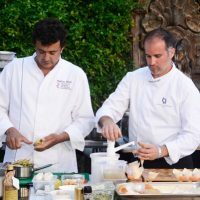 Their talents of authentic cooks thus serves the service of the Riviera with the hashtag #CotedAzurNow.